The backlight provides a focused beam making the tuning dial more accurate and attractive. 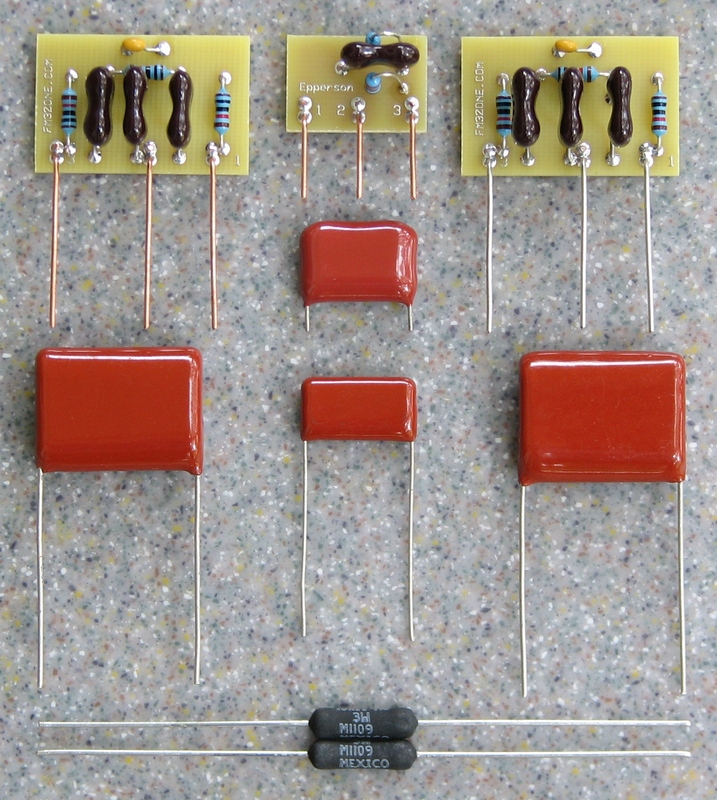 This board replaces the aging multi-section capacitor and three accompanying resistors in your tuner. It comes with all the necessary hardware and easy to follow instructions. PLEASE NOTE: The board you receive may be different from the photos as a result of ongoing upgrading. Can’t afford to do it all at once? Why not start with the Sonic Upgrade kit shown below? Both kits can be configured for European standards. The Fm-3 Sonic Upgrade Kit Complete is everything you need to bring your tuner up to today’s standards. It includes the Capacitor board listed above. This kit will dramatically improve the performance and sound of your FM-3. Returning after the 1st of the year, this board incorporates all the known fixes and advances currently available for the FM-3. It eliminates 99% of the original wiring. A single ground plane reduces noise to a non-existent level. It comes with a parts list and assembly instructions. The Faceplates come in black (See photo on the right) or silver (See photo below) with matching knobs. Knobs can be purchased from DynaKitParts.com. 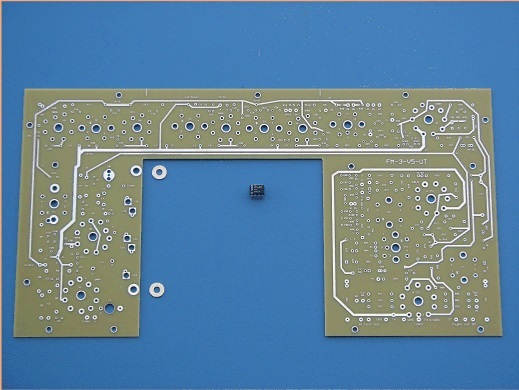 Here you’ll find the irreplaceable parts made for the FM-3.